Take a look at this list of top 10 South African foods to try in order to get the best picks from dishes with local, Dutch, Malay, and French influences. South Africa is by far the most cosmopolitan country in Africa and has a mature tourism industry. There is so much to do and see from going on safari to visiting townships or taking indulgent food and wine tours in the Cape to visiting a foodie haven in Durban. However, due to the number of South African migrants worldwide, you no longer have to travel very far to experience a taste of South Africa. Although nothing beats the authentic experience that travel brings, a South African experience may be closer than you think. Chakalaka is a very simple and easy to make relish which has grown out of the townships of South Africa's cities. 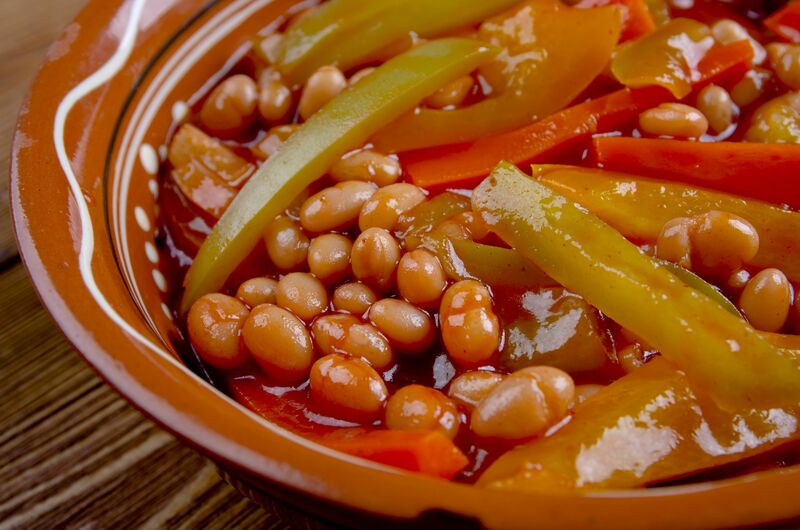 Usual components are baked beans, curry, peppers, and carrots. It is almost impossible to find a South African barbecue (braai) without chakalaka. From its humble beginnings as a cured meat made purely for preservation, to the spicy snack it is today, biltong is ubiquitously one of the top South African foods to try. It is loved by many a South African but may be an acquired taste for others. If you have tried beef jerky and loved it, it is highly likely that biltong will go down very well. Potjiekos is a quintessential South African dish born purely out of necessity to cook whilst on the move in the outdoors. With its roots set in an Afrikaaner tradition that supposedly emerged during the Great Trek, potjiekos has come a long way, yet it is part and parcel of South Africa's food culture as we know it today. It is cooked in a little pot, and typical ingredients include meat, vegetables, and a starch (usually potatoes). An introduction to ​Durban curries, this chicken curry recipe is quick and easy. The results are very satisfying. You end up with a moreish and comforting curry that goes very well with basmati rice and a sambal on the side. Milk tart, otherwise known as melktert in Afrikaans, is South Africa's milky answer to the traditional custard tart. A recipe imported by the Dutch, melktert is nevertheless a part of the fabric of South African food. Every year, the 27th of February is celebrated in South Africa as the official milk tart day. Apricot blatjang is a South African chutney made with dried apricots. It is the perfect condiment that goes well with cheese or even bobotie. You may recognize this as a chutney, but not all chutneys qualify as blatjangs. Malva pudding is a South African dessert with its origins in the Cape. It is said to have been created by the Dutch settlers and incorporates apricot jam in the recipe. It is decadent and comparable to sticky toffee pudding, but it is so much better. Pap is the South African name for the stiff cornmeal porridge so famous across the African continent. It is an essential dish at braais (South African barbecues) and is perfect for scooping up thick and tasty sauces and stews. Boerewors is a high-quality​ sausage often spiraled and presented in a circular shape. It is made using a high content of meat and can be made of beef, pork, or game meat. It is a must have at a braai. 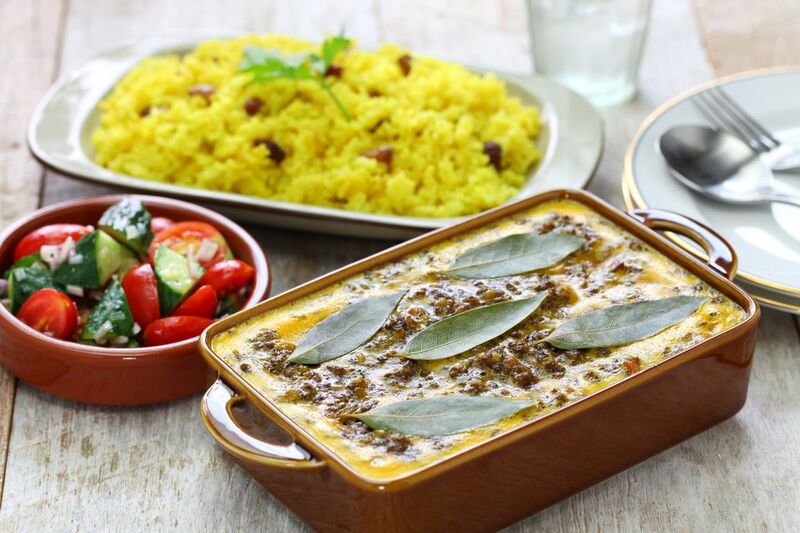 Bobotie is a purely South African dish made with minced or shredded meat, fruit, and spices. It is topped off with a savory custard and bay leaves and baked in an oven until the custard is ready.